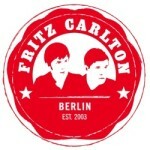 This is the new Fritz Carlton page. This is 2014. A new record. We recorded the album in several sessions over the past years and the outcome will be like a best-of album of our songwriting since we founded Fritz Carlton. The album means milestone for ourselves. An album that marks our friendship through all the years. Therefore, finishing the album means a lot to us. It tells a story for us – maybe for you, too. The album always reminds us of being musicmakers. That is why the album should have a title that claims our appeal to ourselves: Give it back to the audiofolk!